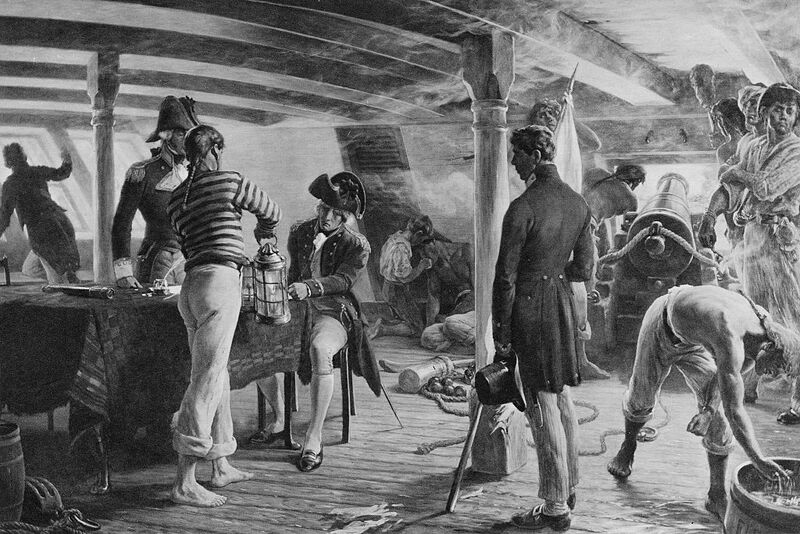 The history of the Royal Navy is a long one, filled with noted commanders and sailors. 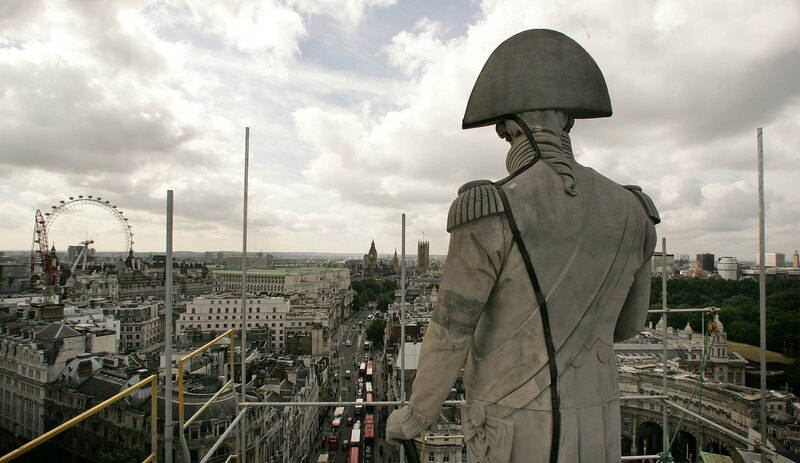 The one who arguably stands head and shoulders above the rest is Horatio Nelson. Nelson’s naval accomplishments have been well noted and studied, not least because at the time, Britain was embroiled in their conflict with Napoleon Bonaparte, and Nelson was part of the war effort. 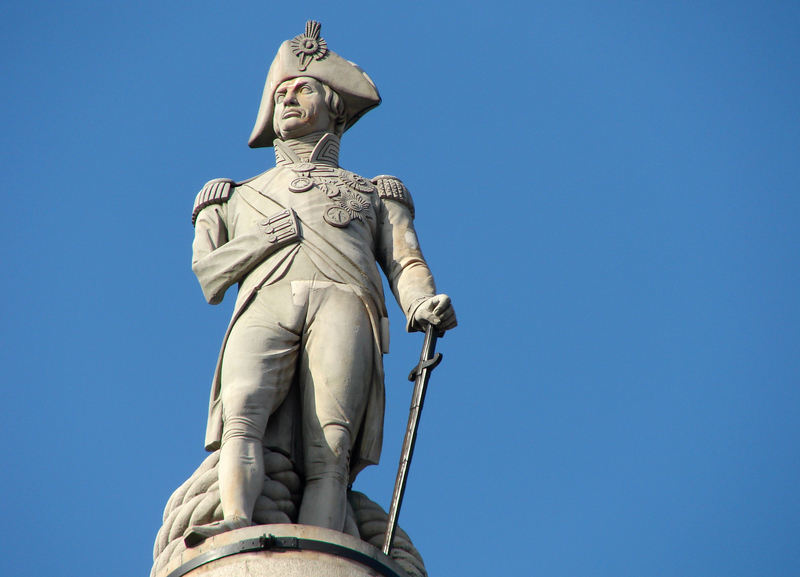 Of course, many of you will remember his incredible victory at the Battle of Trafalgar, but what else do you really know about Nelson? What else was comprised his life and legacy? Find out more below! 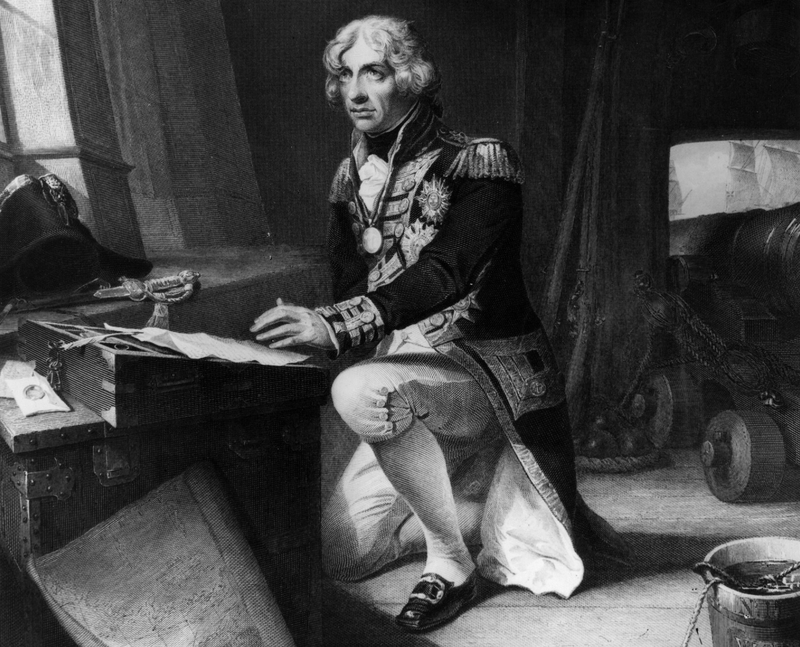 Fittingly, Nelson’s name has been given to no fewer than five ships in the Royal Navy. 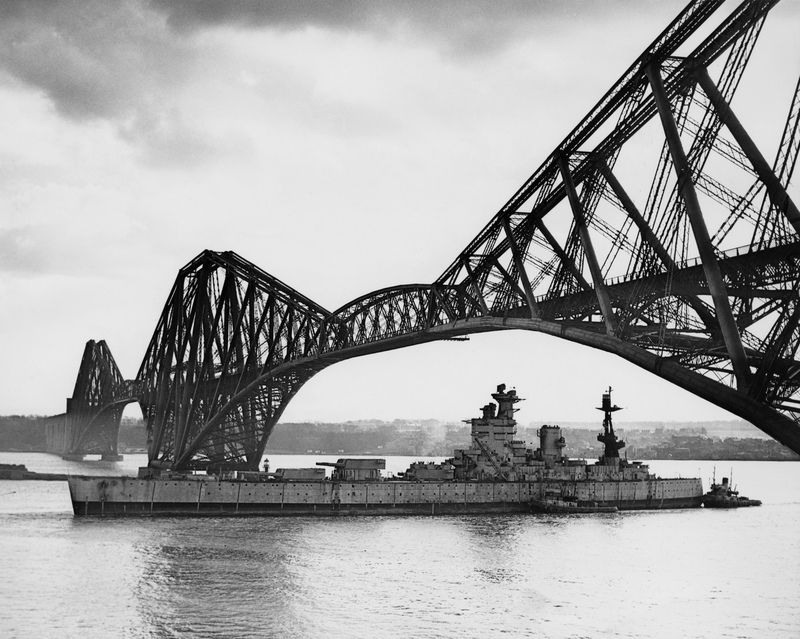 Two ships have shared the name HMS Lord Nelson, while three ships and a naval base have all carried the name HMS Nelson. Nelson was born on the 29th of September 1758 in the small village of Burnham Thorpe, Norfolk, England. He was the sixth of eleven children by Edmund Nelson, a reverend, and his wife, Catherine. 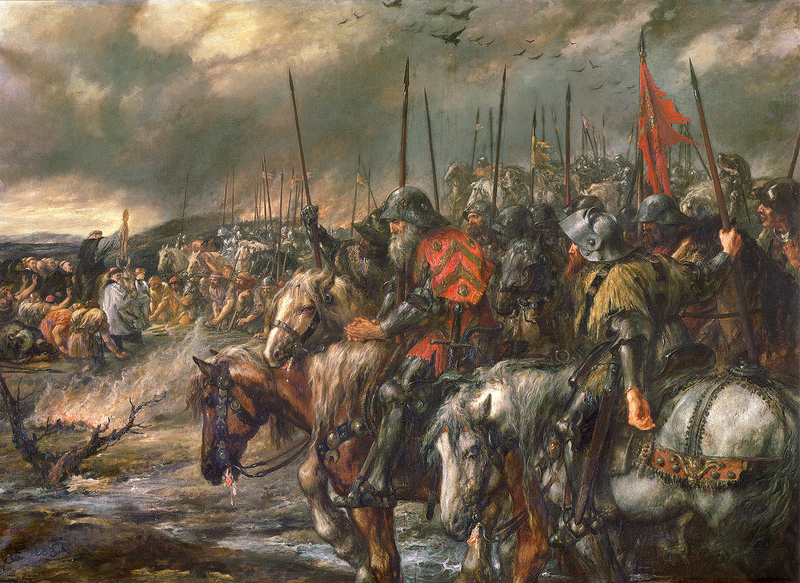 In case Nelson’s great victory at Trafalgar wasn’t sufficiently patriotic enough for the British, you might shed a proud tear to know that Admiral Nelson referred to his captains as his “band of brothers,” in a reference to Shakespeare’s Henry V, which is itself a tribute to the much-beloved Battle of Agincourt. The play was purportedly Nelson’s favorite. Nelson’s naval career began when he was just twelve years old! 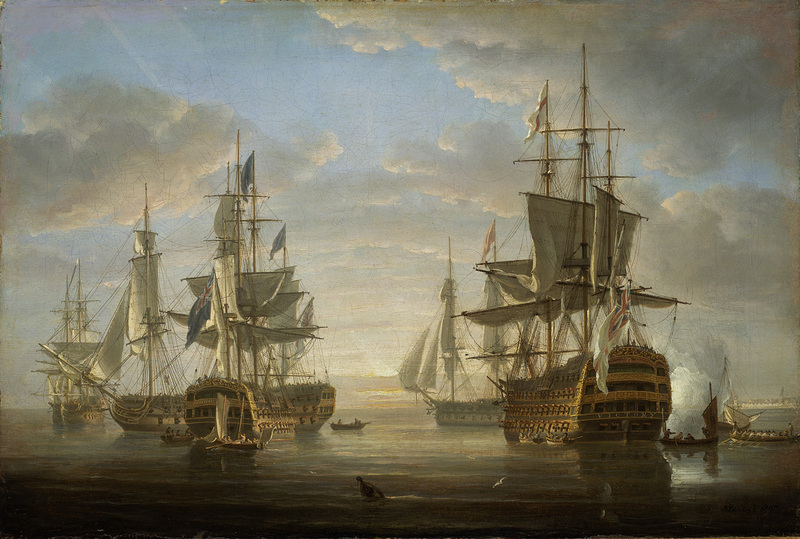 On New Years’ Day 1771, Nelson joined his maternal uncle, Maurice Suckling, who was Captain of the HMS Raisonnable. 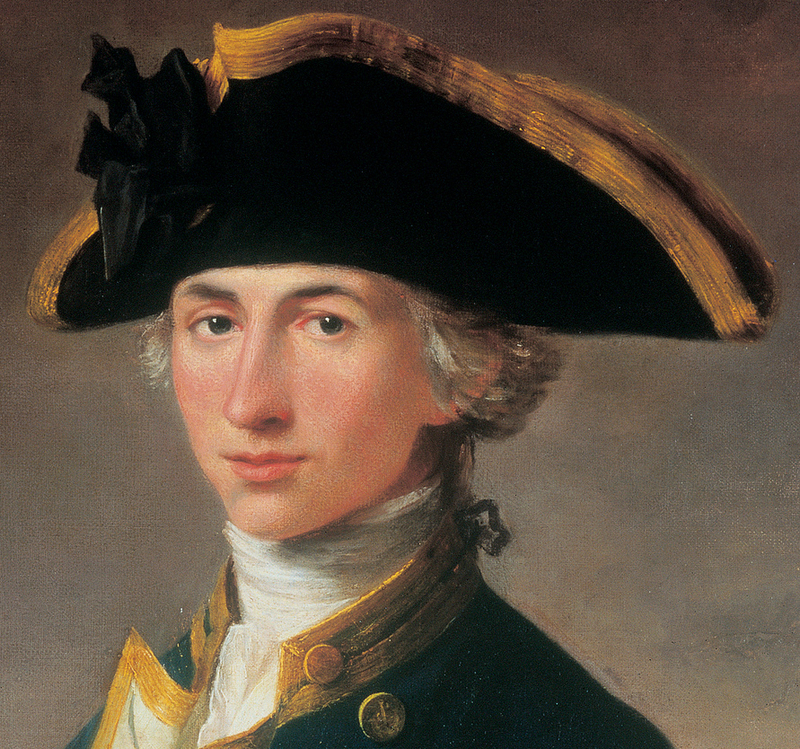 Although Nelson was initially signed onto the HMS Raisonnable as an ordinary seaman (or seaboy, we should say), he was almost immediately enrolled in officer training. Given that his uncle was the captain of the ship, we hope that Nelson was chosen for reasons entirely unrelated to nepotism. 37. Don’t Forget Your Beach Towel! Nelson’s time aboard the HMS Raisonnable ended after he’d served on the ship for less than a year. 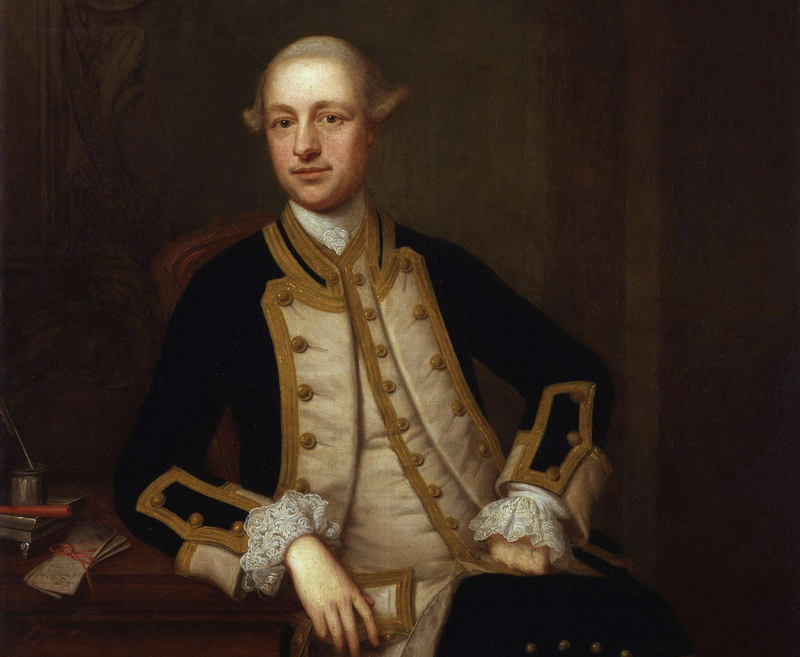 In 1771, he was transferred to a merchant ship so that he could gain sailing experience. From then until the following year, Nelson crossed the Atlantic twice, traveling to Jamaica and Tobago. 36. No Wonder They Put Him up on a Pedestal! Most of you are probably familiar with the jokes made back in the day that Napoleon Bonaparte was a comically short man. However, despite the longevity of those jokes, Bonaparte was actually 5’7″, which was above average for men back in those days. 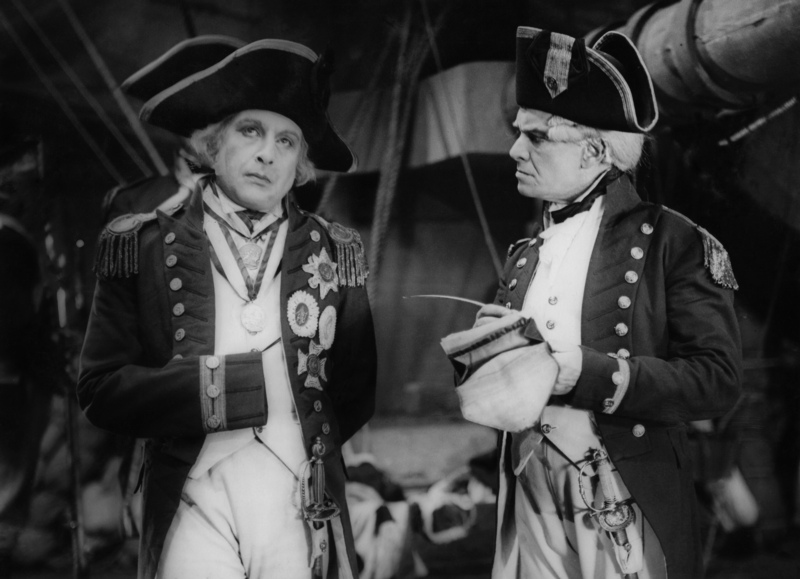 Bonaparte was also three inches taller than Nelson, that great British hero who stood only 5’4″ in height. 35. Let’s Allow Some Leeway! Among the many things which were subsequently named after Nelson, chief among them was the Nelson Touch. The term originated with Nelson himself when he was on shore leave in 1805. Communicating with a friend of his, Nelson brought up a series of ideas he had on how to improve sea battle outcomes for the British. Amongst his suggestions was the idea that any sea captains under his command would have a lot of independent authority to make their own maneuvers throughout the battle. Because of the difficulty of communicating with all other ships in the middle of a battle, any attempt at organization tended to fall flat when things didn’t go according to plan. Nelson’s attempts to permit more improvisational tactics in the hands of individual captains was a novel idea for the Royal Navy at the time. 34. Trust the Nelson Touch! 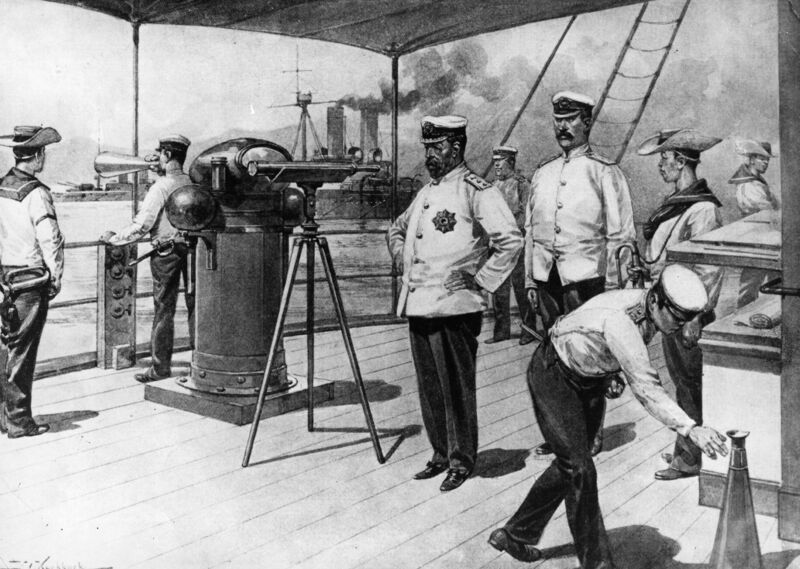 After Nelson’s death, the term “Nelson Touch” became the moniker people used to describe Nelson’s charismatic leadership style, which built a great loyalty toward him amongst his captains. 33. No Sign of Santa Clause Either? In 1773, Constantine Phipps led an expedition to the North Pole, hoping to find a new passage to India (this was long before Google Maps, kids). The teenage Nelson naturally wanted to be a part of this grand adventure, and with the help of his uncle, he managed to join as a coxswain aboard the HMS Carcass. Sadly for Nelson, the expedition was forced to turn back after getting within just ten degrees of the North Pole. 32. So This is War? 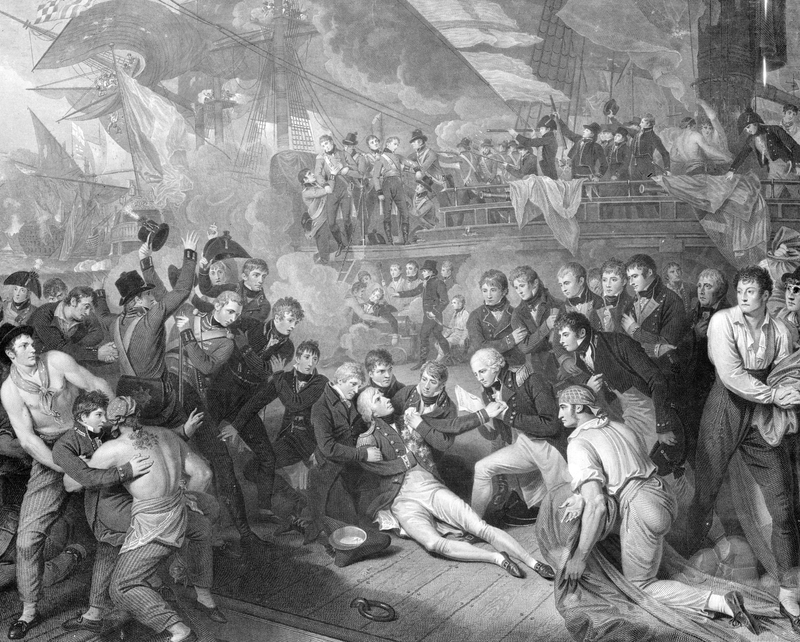 Nelson’s first experience with battle occurred on the 19th of February 1775. By that point, he was in the East Indies aboard the ship HMS Seahorse, and the First Anglo-Maratha War was being fought on the Indian subcontinent. As a result, the Seahorse was attacked by two vessels which owed allegiance to Hyder Ali, the Sultan of Mysore. It was ultimately a minor skirmish, but it was the first taste for Nelson of sea battle, which would come to define his legacy. 31. Putting Nelson on the Map! Due to Nelson’s legacy, his name has been given to places associated with the British all across the world. The US, Canada, New Zealand, Wales, and England all have towns or communities named after Nelson, and that’s before even mentioning Nelson’s Island in Egypt. 30. Isn’t That Like a Surgeon Who’s Scared of Blood? 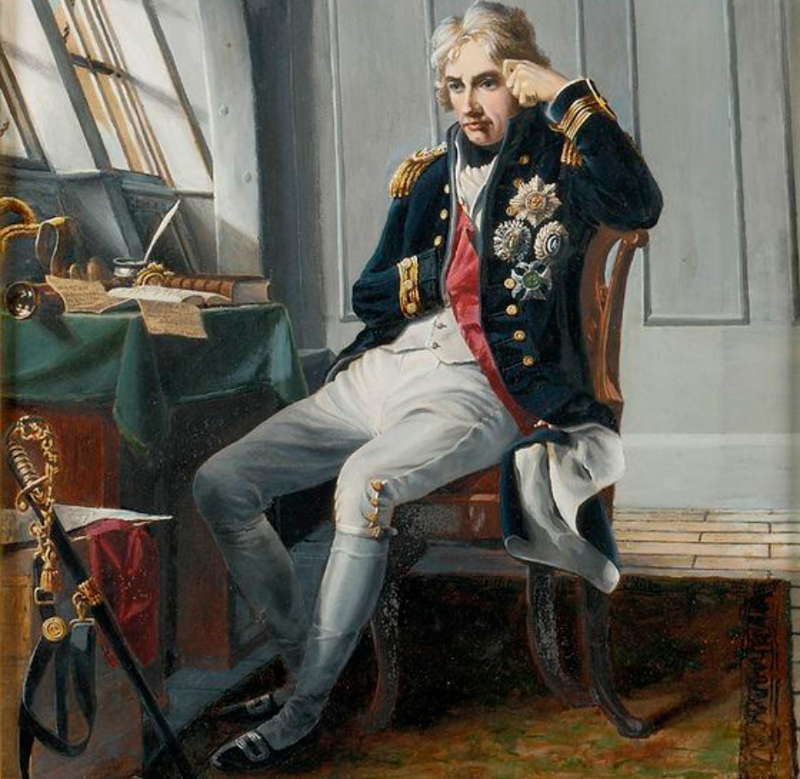 In a rather ironic twist for such a celebrated naval commander, Nelson realized very early in his career at sea that he suffered from seasickness! This issue didn’t just go away after his first few voyages, it plagued him for the rest of his life. We can assume that he would end up hearing all the jokes about that from his fellow commanders and sailors. Nevis is the name of a small island in the Caribbean. 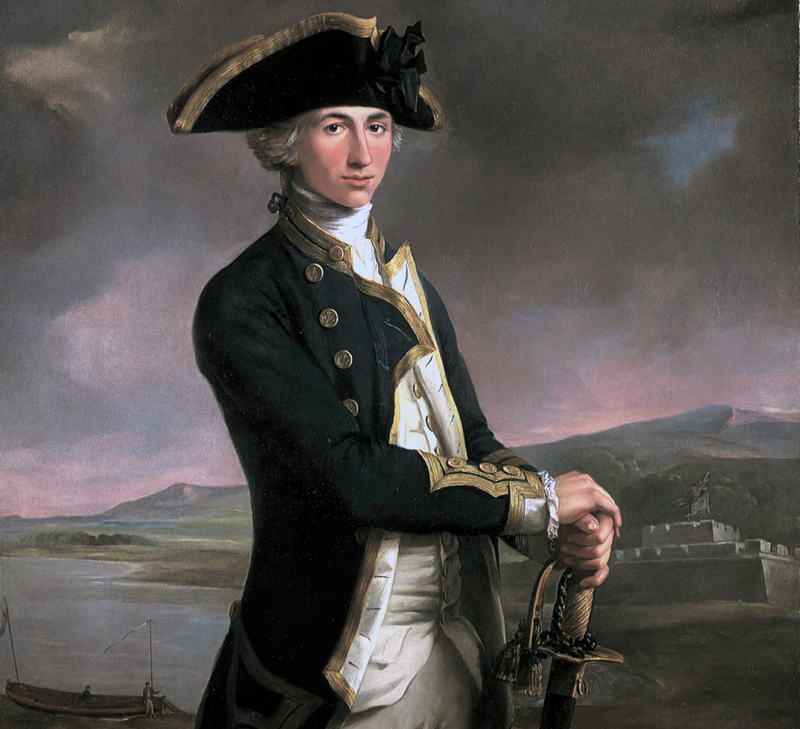 Nelson, then a young officer in the Royal Navy, was stationed there in the 1780s. It was there that he would be a frequent house guest of John Richardson Herbert, who served as President of the Council of Nevis. It just so happened that Nelson met Herbert’s niece, Frances Nisbet. Nisbet was a widow who painted and was fluent in French. 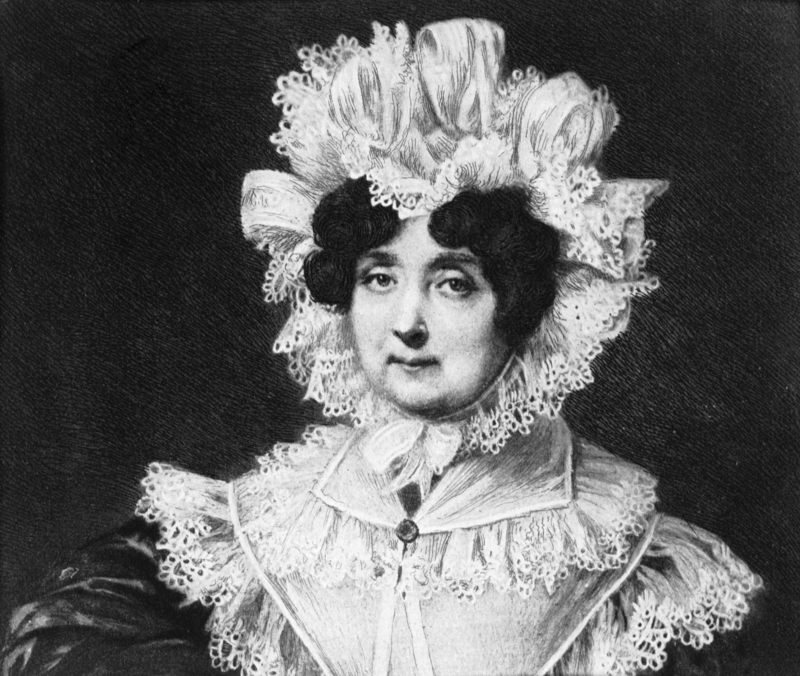 Nisbet would also go on to be Nelson’s wife when they married in 1787. Nelson has appeared in his fair share of fictional novels. 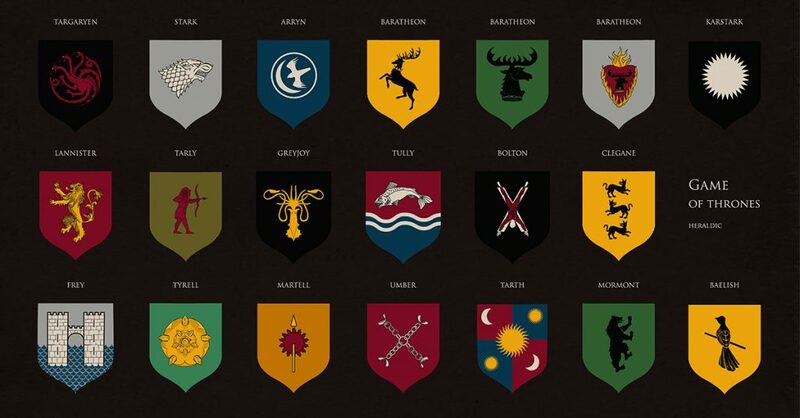 Among them is the Bernard Cornwell novel Sharpe’s Trafalgar. In this long-running series about British rifleman Richard Sharpe, the titular character finds himself a passenger on a British warship which joins Nelson’s fleet to engage the Franco-Spanish fleet at Trafalgar. 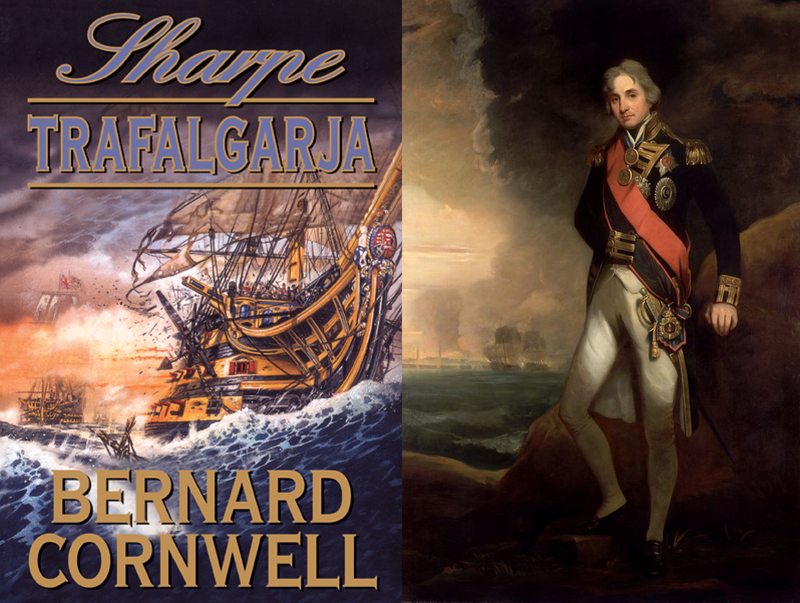 While many of the Sharpe books were adapted into made-for-television films by the BBC during the 1990s (with two more in the late 2000s), Sharpe’s Trafalgar wasn’t one of them. Given the low budget of those films, though, we’re not surprised that they omitted a huge naval battle from the series! Speaking of historical fiction, though, Nelson was also an inspiration for one of the most famous literary figures of their time. From the 1930s to the 1960s, C.S. 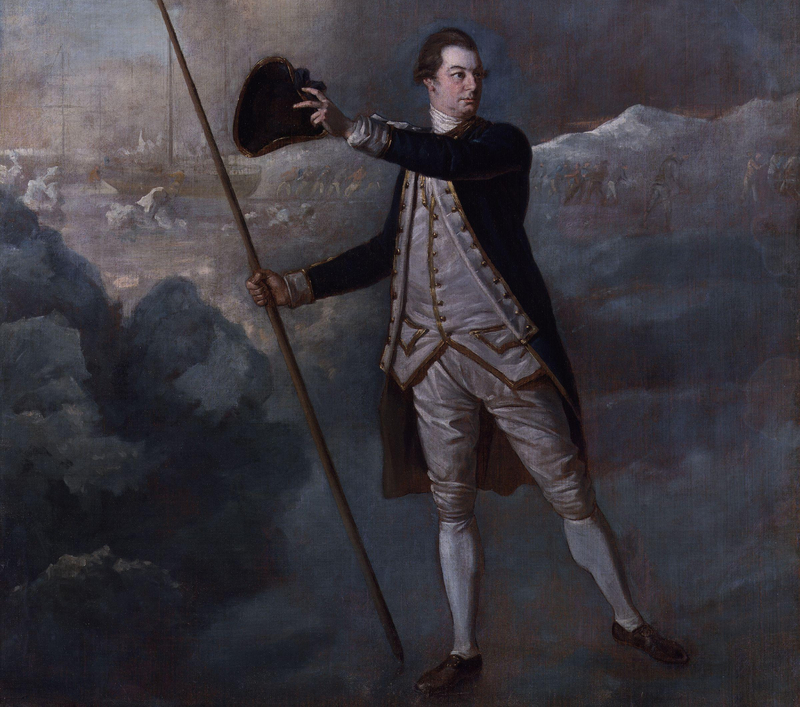 Forester made his name by writing a series of novels about an officer of the Royal Navy named Horatio Hornblower. Not only were the books a resounding success, but his stories would also be translated to radio, television, and film. Aside from the obvious namesake, Hornblower also shared parallels with Nelson in his actions, biography, and personality. Nelson himself would appear in the series, with Hornblower presiding over his historical counterpart’s funeral. Is that ironic? Nelson was nearly killed by a serious bout with malaria in 1776. He embarked on a six-month voyage to England in order to recover, though by the time he arrived, he was well on the road to recovery. Maybe he was too distracted by seasickness? During the first years of the American War of Independence, Nelson served under Captain William Locker on board the HMS Lowestoffe. Among the several prizes which the Lowestoffe captured during the war was a ship which became known as the Little Lucy, which was taken into the Royal Navy’s service. Incredibly, a high-ranking member of the British monarchy oversaw Nelson’s marriage to Frances Nisbet. Prince William Henry, the third son of George III, gave Nisbet away during the wedding ceremony, and also acted as a witness to the wedding. 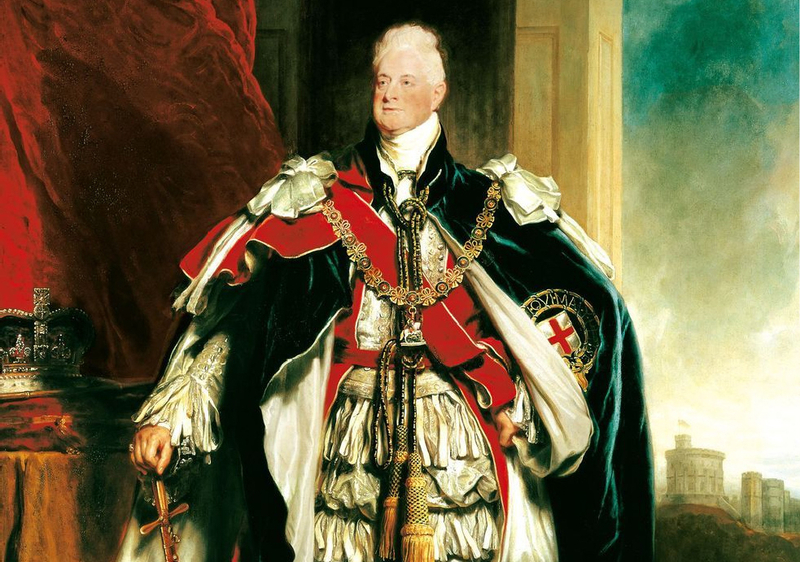 The prince would later go on to become King William IV of the United Kingdom. 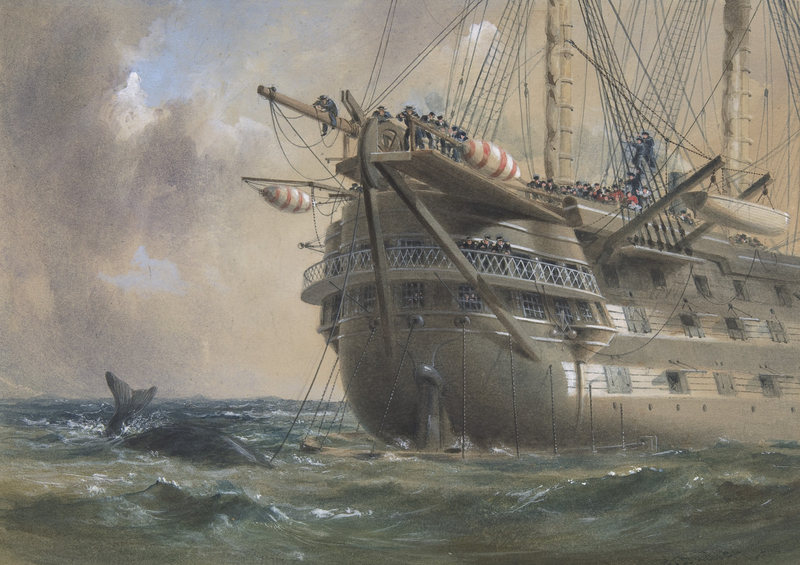 Nelson’s first command of a ship came when he was given charge of the Little Lucy, one of the ships that he’d previously taken with the HMS Lowestoffe. 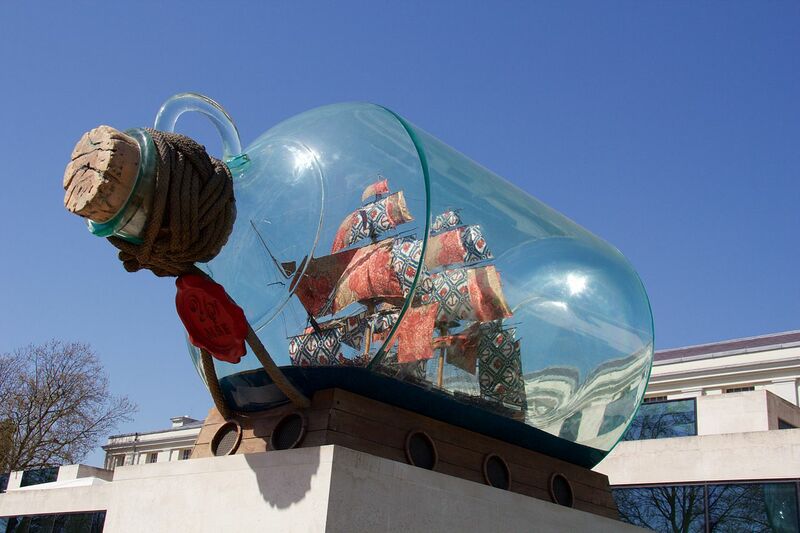 Nelson would sail the Little Lucy to Caicos Islands. It was on this voyage where Nelson indulged his inner science geek by taking notes on the flora and fauna of the islands. Darwin would certainly be proud. It’s easy to say that Nelson stared death in the face several times during his life before he finally met his end. One of the stranger moments of near-death, however, allegedly occurred when he was a sailor on the 1773 expedition to the North Pole led by Constantine Phipps. 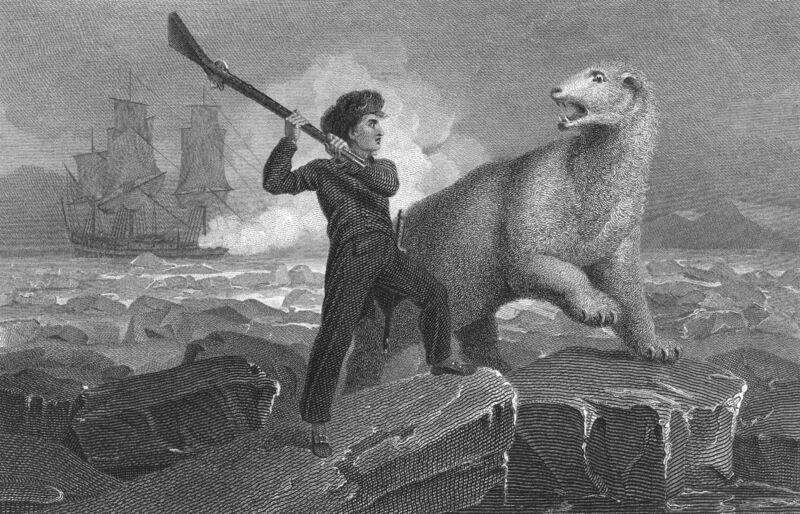 During the expedition, Nelson was said to have gone after a polar bear with just one other companion (this was centuries before The Revenant, kids). Luckily, Nelson’s foolhardy hunting trip didn’t end in disaster, not even when his musket misfired. Nelson was able to use a rift in the ice to avoid being eaten alive. When Nelson married Frances Nisbet, he also took in her son by her previous marriage. Josiah Nisbet would serve with his stepfather on the HMS Agamemnon. Speaking of the Agamemnon, it was while he commanded this ship that Nelson lost the ability to see out of his right eye. In 1794, Nelson was involved in the invasion of Corsica, particularly the siege of the fortress of Calvi. During the bombardment, a shot from the fortress hit a sandbag close to where Nelson was standing and sprayed his face with stones and sand. The injuries that Nelson sustained to his right eye were such that it became completely blind. Nelson was named after his Horatio Walpole, his godfather. 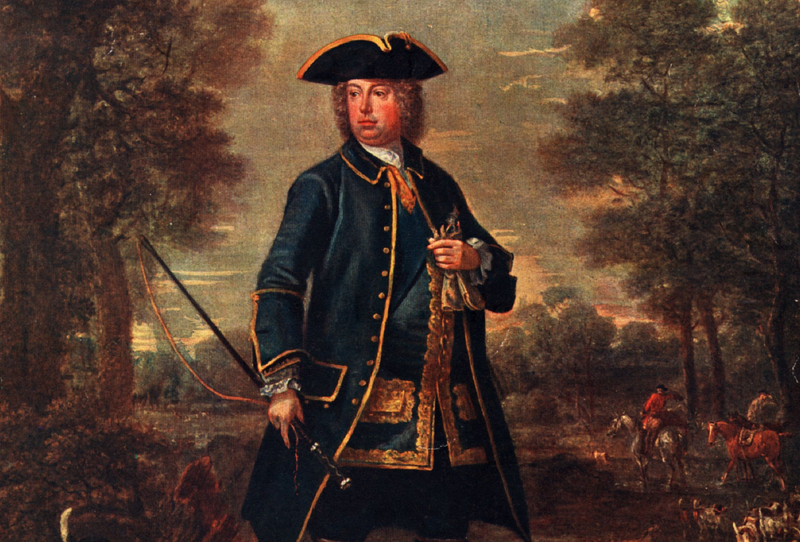 Interestingly, Walpole was the nephew of Sir Robert Walpole, the man whom most recognize as being the first Prime Minister of Britain. Additionally, Nelson’s mother was also related to Robert Walpole, being his great-niece. Although Nelson’s marriage to Frances Nisbet began with great happiness, the honeymoon phase faltered eventually, as with any marriage. For one thing, Nelson was frustrated that he and Frances were unable to have any children together. 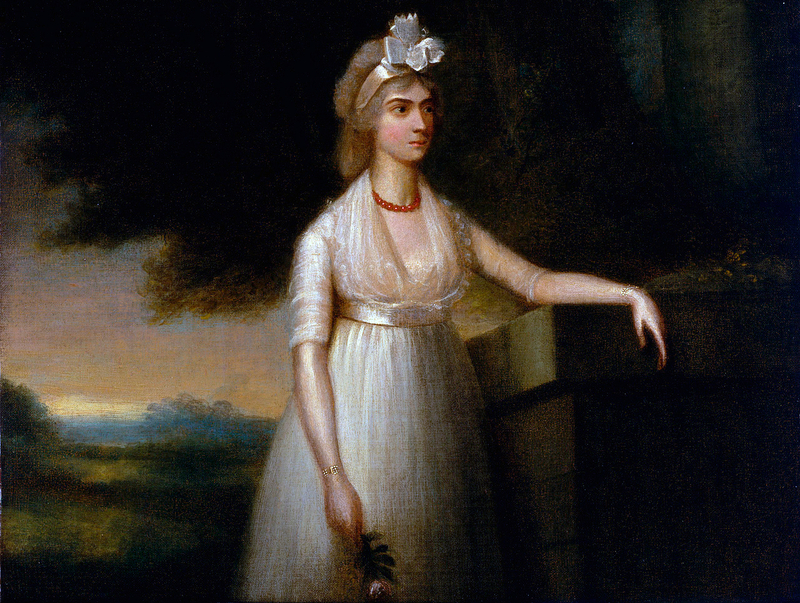 However, the real schism in their relationship was when he became infatuated with Emma, also known as Lady Hamilton. They met in 1793 when Nelson visited Naples, where Hamilton’s husband served as the British Envoy. Nothing would come of their infatuation, however, until after Battle of the Nile (more on that later). In the late 1790s, Napoleon Bonaparte personally led an expedition to Egypt to strike out against the British in India (in case you’re wondering, Bonaparte also landed in Egypt because he wanted to emulate his hero, Alexander the Great). 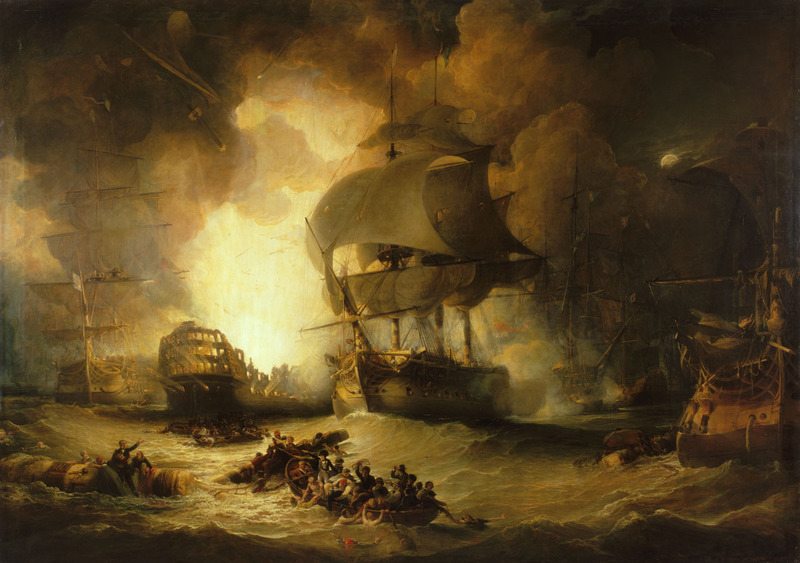 Unfortunately for the French, this expedition was put to a halt when the French fleet was attacked by Nelson. It would take a while to explain all the details of the iconic Battle of the Nile, but it was a washout for the British fleet. 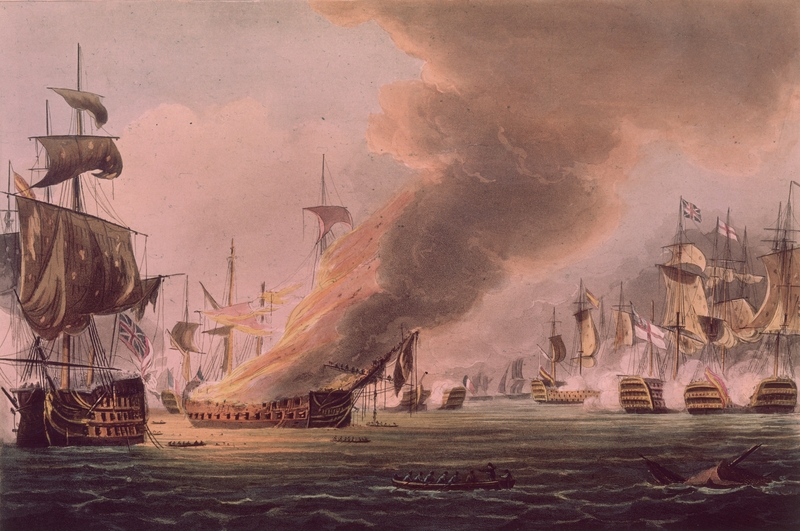 Out of the seventeen French ships, nine were captured, and four others were destroyed. 16. Stick it to the Man! 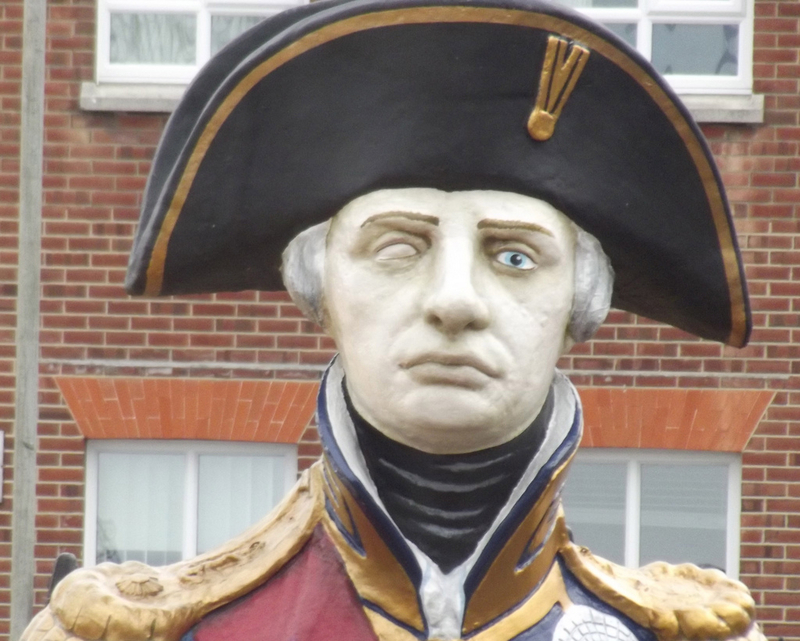 Most of you have probably heard of the expression “turning a blind eye.” While the Oxford English Dictionary notes that the phrase has been in existence in the 17th century, one story associated with Nelson is most often used as an inspiration for the expression. 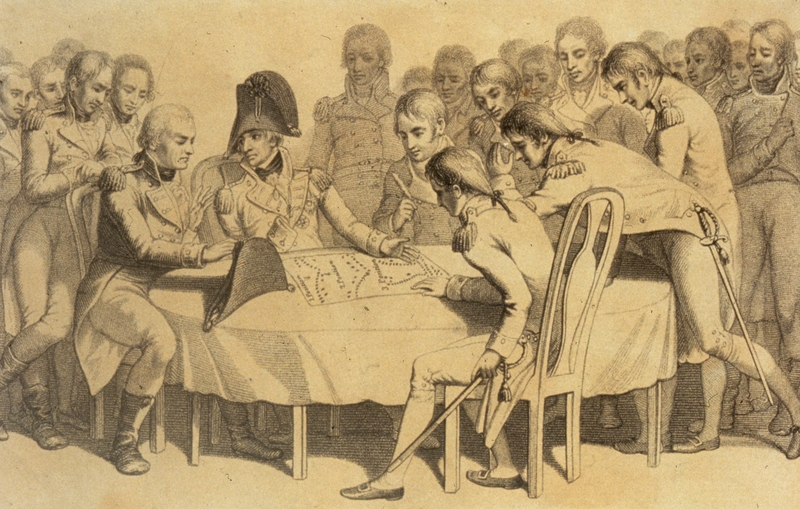 In 1801, Nelson was part of the Battle of Copenhagen under the command of Sir Hyde Parker. However, Nelson wasn’t above disregarding Parker’s cautious attitude; during the battle, a signal flag was sent up to Nelson ordering him to break off an attack on the city. Nelson famously put his telescope to his blind eye said “I have a right to be blind sometimes. I really do not see the signal.” While Nelson would become promoted for his boldness over Parker, we here at Factinate don’t encourage similar action amongst our readers. In the early 1800s, Napoleon Bonaparte planned to invade Great Britain, presumably expecting that he could follow in the footsteps of William and Mary. However, this invasion was not to be, as Nelson was sent with a fleet of British ships to stop the French navy from reaching Bonaparte’s army. This would lead to the battle for which Nelson would be forever remembered. It’s incredible to think that the two biggest heroes on the British side of the Napoleonic Wars were ever in the same room together, but it did happen. 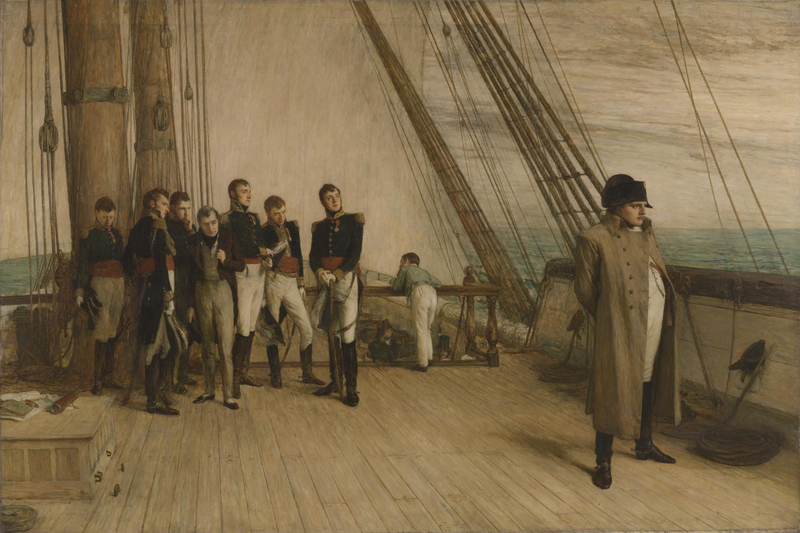 In September of 1805, Nelson was briefly in London in between chasing the French fleet around the Mediterranean when he found himself in the company of a young British officer named Arthur Wellesley, who was just back to England from his military campaigns in India. 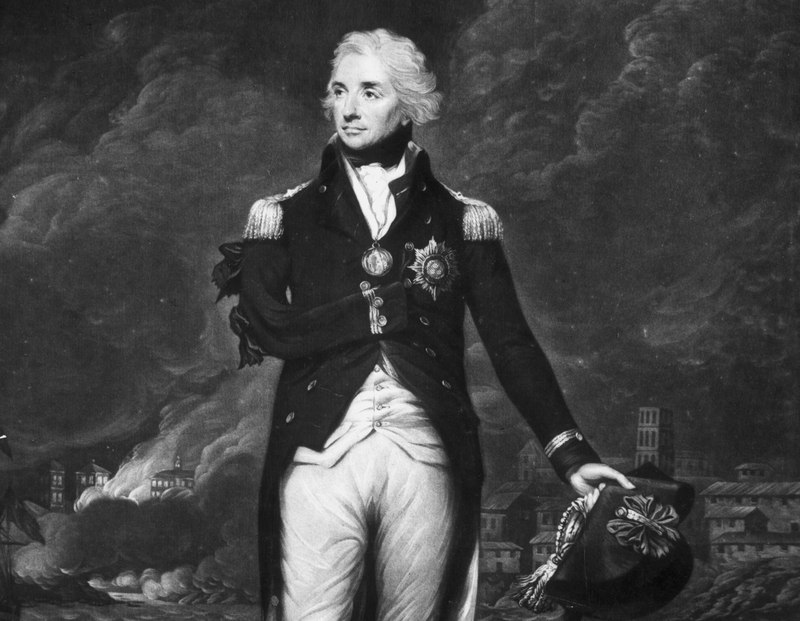 Wellesley, who would go on to become the Duke of Wellington, didn’t have a very favorable memory of Nelson, whom he accused of dominating the conversation they had, making it all about himself, to the point that Wellesley was disgusted. On the 21st of October 1805, off the Spanish coast of Cape Trafalgar, thirty-three French and Spanish ships faced off against twenty-seven British ships led by Nelson. Famously, Nelson defied conventional battle tactics by leading his ships in two columns against their enemies’ line of ships. While the initial charge forward made the British ships vulnerable to cannon fire, the strategy was so successful that the British didn’t lose a single ship in the battle, while the combined Franco-Spanish fleet lost twenty-two! 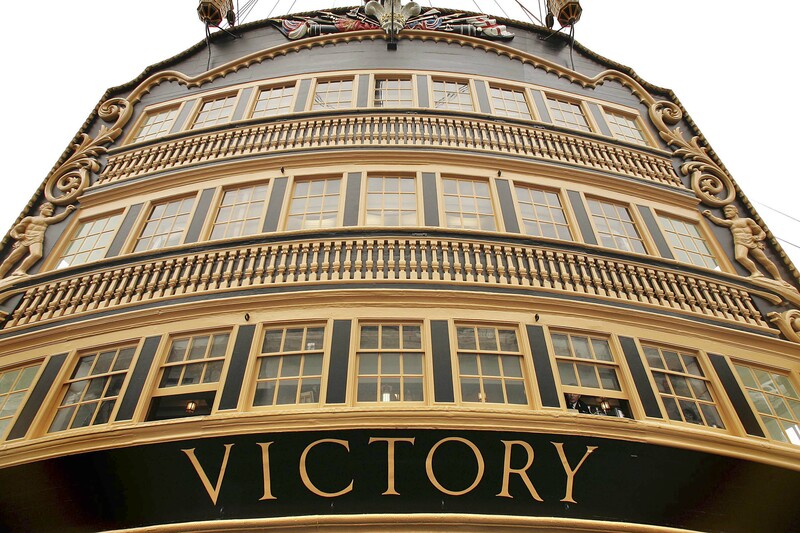 The decisive victory at the Battle of Trafalgar cemented British dominance of the seas. Unbelievably, you can still go and see the bullet which killed Nelson at Trafalgar. 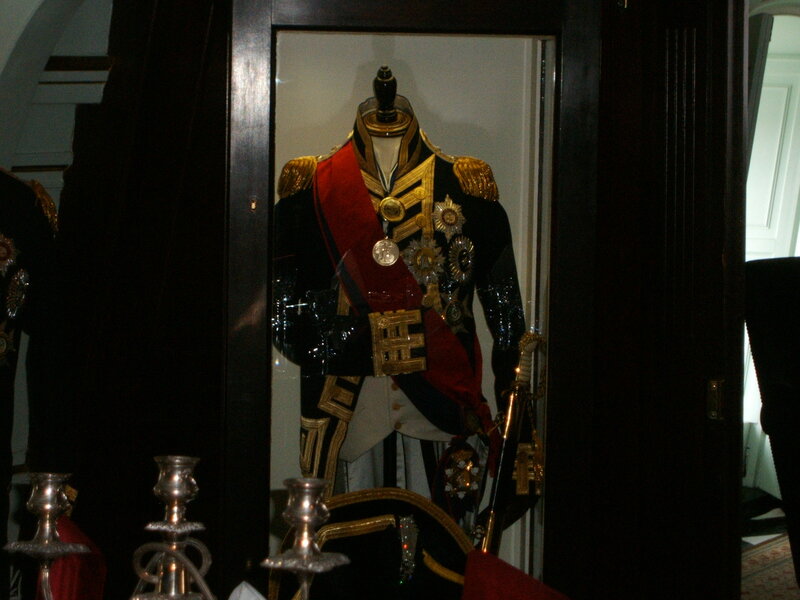 It is on display in Windsor Castle’s Grand Vestibule. We can only assume that any officers of the Royal Navy who come within sight of that bullet are honor-bound to shed a tear for Nelson even to this day. 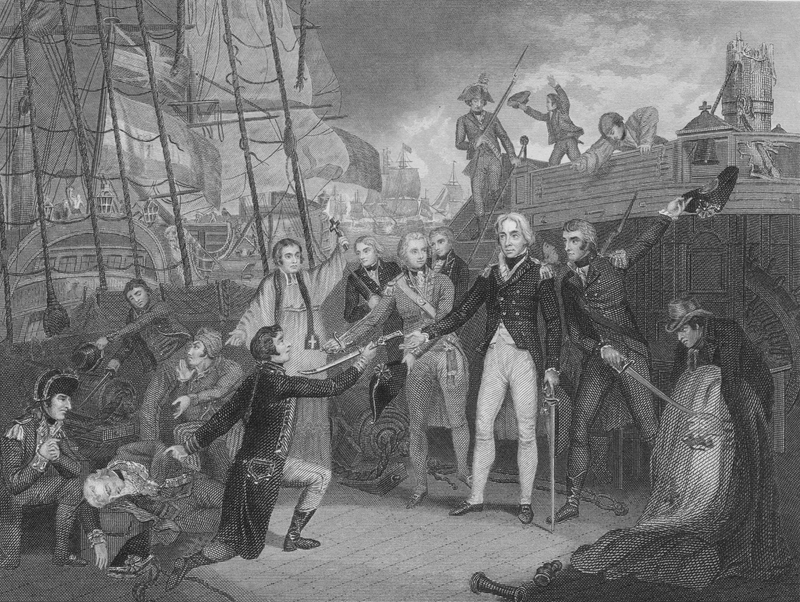 Several different accounts of Nelson’s death exist, and three of them agree that Nelson’s final words were “Thank God I have done my duty.” Given all we’ve learned about the man, we honestly wouldn’t be able to figure out whether that was just written for propaganda or whether those really were Nelson’s words of farewell. 10. Do They Comb It Regularly? In the early 1900s, the Russians and Japanese fought in the Russo-Japanese War. Surprisingly (at least for prejudiced Europeans at the time), the Japanese defeated the Russians, particularly in the naval Battle of Tsushima. Since the Japanese were allies of the British, the British wished to congratulate them for their victory, and their choice of commemoration was a lock of Nelson’s hair (making for either a highly treasured or highly creepy gift, depending on how you look at it). The lock of hair continues to be on display in Japan’s Edashima Naval Academy. One dark aspect of Nelson’s life and career was his active attempts to undermine the abolition of slavery. 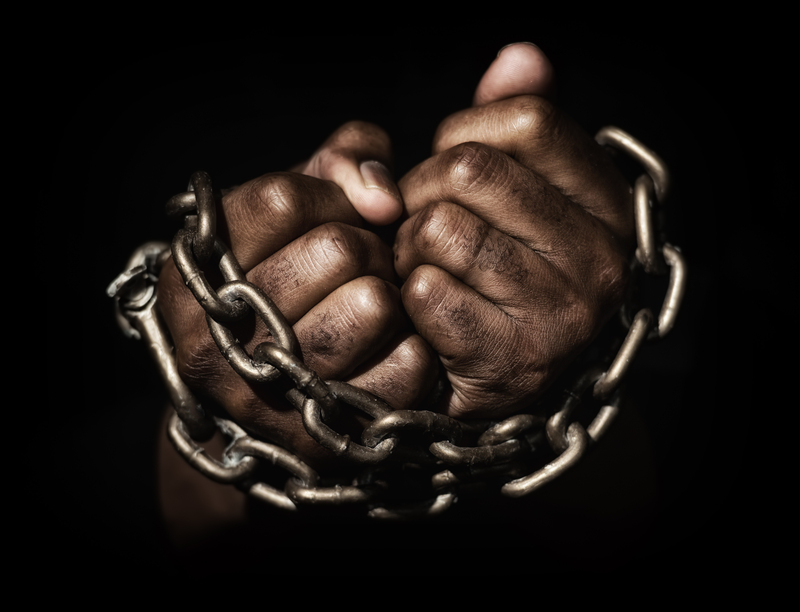 It was well established that Nelson befriended plantation owners in the Caribbean who utilized slave labor. In a personal letter, Nelson declared himself an enemy of William Wilberforce, the philanthropist whose efforts contributed to the Slave Trade Act of 1807, one of the early legislations in British law to abolish slavery. It’s safe to say that Nelson was thoroughly on the wrong side of that historical argument. 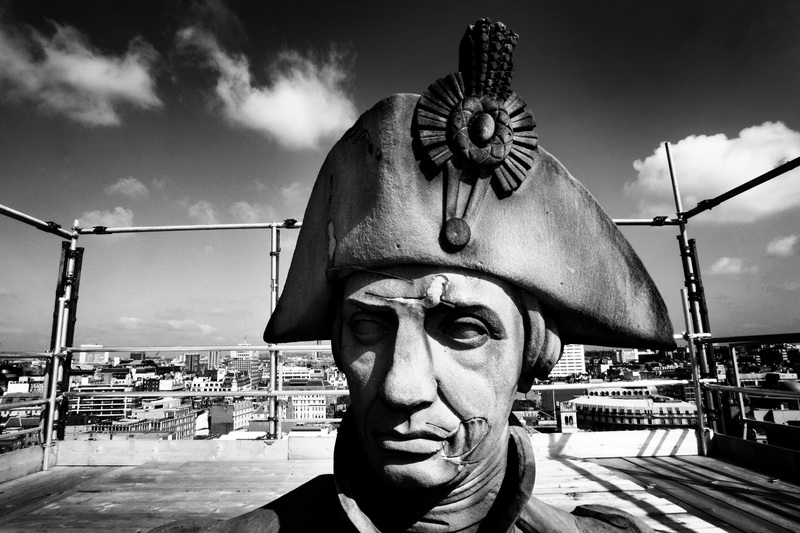 Unfortunately for Nelson, he would not live to see the benefits of his great victory at Trafalgar. During the battle, he stubbornly insisted on wearing his full uniform and decorations, which made him an obvious target once the ships clashed against each other. A French sniper shot him from a distance of around fifty feet, mortally wounding him in the back. Nelson died as the battle was won. He was forty-seven years old. Despite the great victory at Trafalgar, Nelson’s fleet had to undergo an arduous journey to get home with their spoils. In fact, the weather turned so nasty against the badly damaged ships that the British had to cast off several of their prizes. Meanwhile, Nelson’s body was preserved in a barrel of brandy so that he would be in somewhat decent condition for his funeral march back home. Nelson was outlived by both his wife and his mistress. 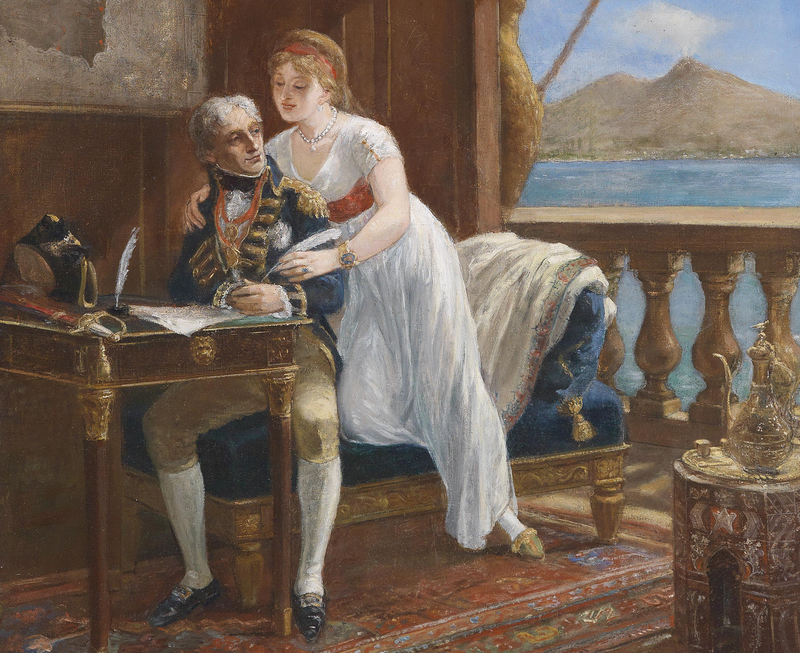 Despite Nelson’s wishes that Emma be provided for, these wishes were not respected, and Emma would spend the rest of her life in great debt, living in disgrace and suffering from substance addictions. She had given birth to Nelson’s only child, a daughter named Horatia, but after Emma’s death in 1815, Horatia would refuse to acknowledge her mother for the rest of her own life. Nelson’s wife, Frances, meanwhile, would live with her son and grandchildren. She sadly lived long enough to bury her son, dying less than a year after him in 1831. Mother and son were buried in Devon. 5. I’d Give My Right Arm, and I Did! 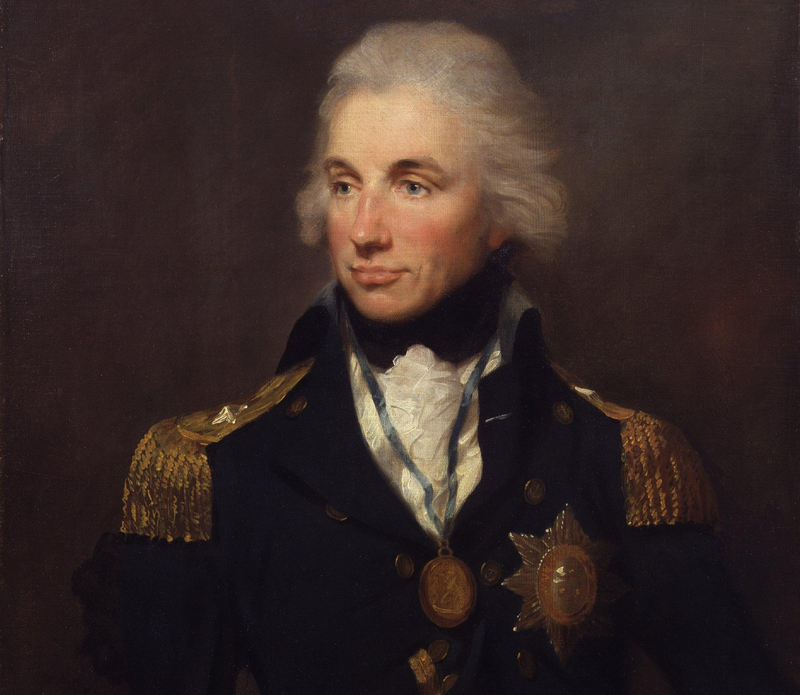 By 1797, Nelson had been promoted to Rear Admiral of the Blue, and he was heavily involved in taking the war to the Spanish, who were allied with France at the time. 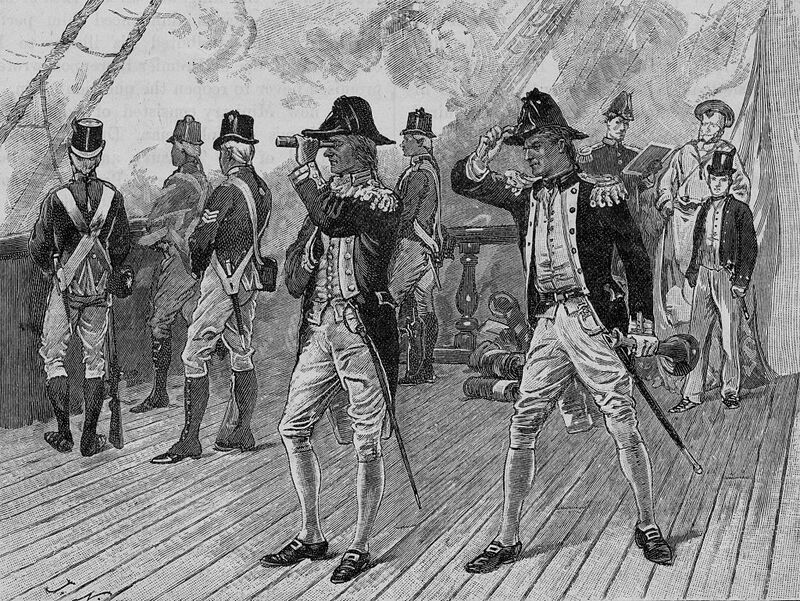 Nelson would suffer several near misses during the fighting, but the worst injury he sustained was during the Battle of Santa Cruz de Tenerife. Nelson personally led his forces in an amphibious landing against fortifications on shore. However, the attack failed, and Nelson was struck in the arm by a musket ball. He was immediately taken back to his ship, where the surgeon amputated most of what remained of his arm. 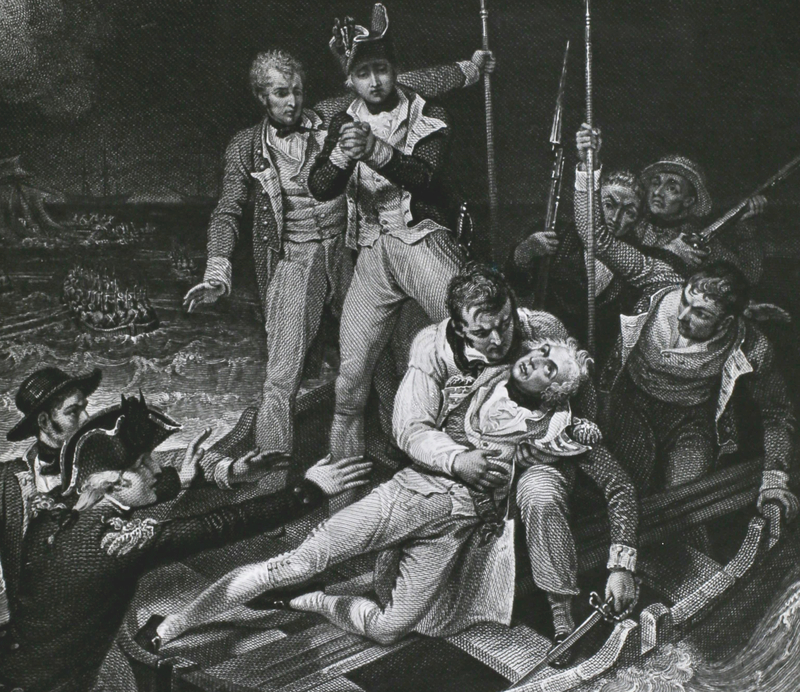 Not one to lose his head under pressure, Nelson supposedly declared “the sooner it is off, the better” and went right back to active duty once the operation was completed! 3. How Did He Do That!? 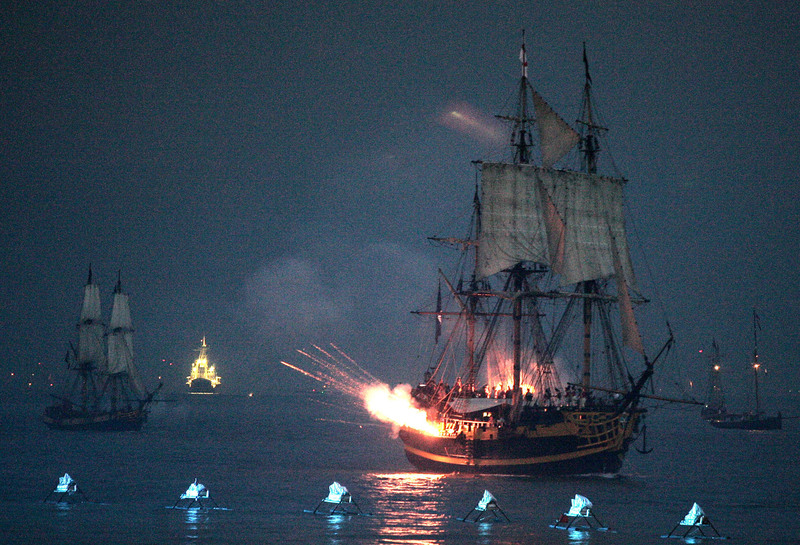 In 1797, fifteen ships of the Royal Navy came across twenty-four Spanish ships off the coast of St. Vincent, Portugal. 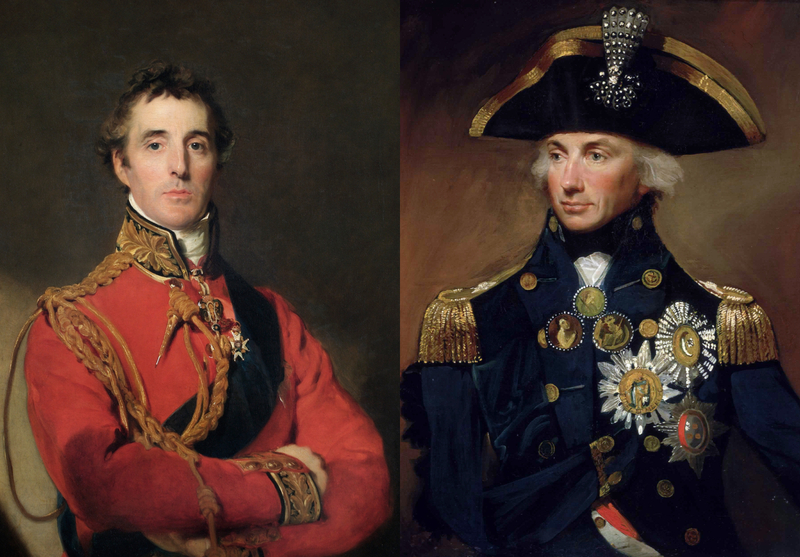 Amongst the ships on the British side was the HMS Captain, which was commanded by Nelson, then only a Commodore. The Captain was a 74-gun ship, but in an act of incredible bravery (or stupidity), Nelson drove his ship forward against the much larger Spanish ships (three of them were 112-gun three-decked ships). Despite being outgunned, Nelson’s daring maneuvers created an opening for the rest of the British ships, leading to an incredible victory. As great as this victory had been on Nelson’s part, it had been done in complete disobedience to his superior’s commands. Therefore, it was a slightly controversial situation for an organization such as the Royal Navy, which put such emphasis on discipline. However, the fact that Nelson’s gamble paid off so well saved him from trouble. 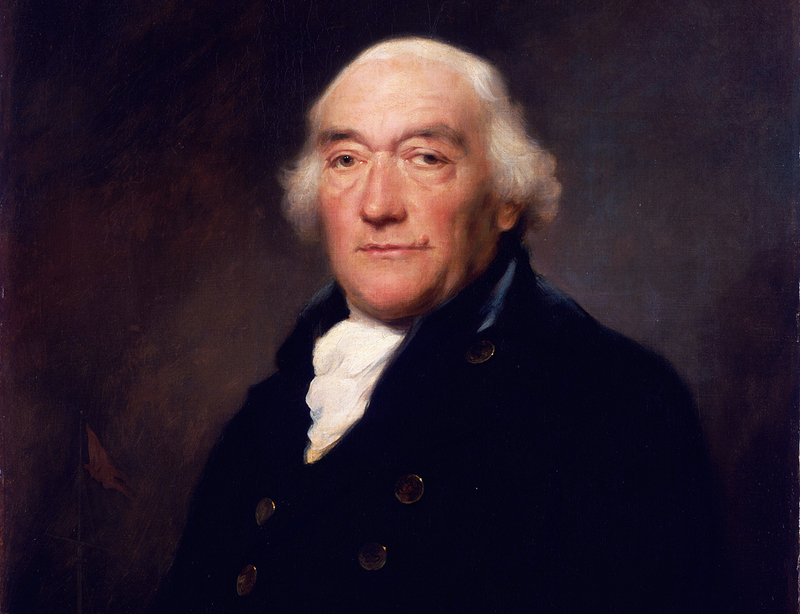 In a famous incident, Admiral John Jervis was confronted by Robert Calder on why Nelson didn’t get disciplined. When Calder brought up the fact that Nelson had disobeyed orders, Jervis replied, “It certainly was so, and if you ever commit such a breach of your orders, I will forgive you also.” Snap! 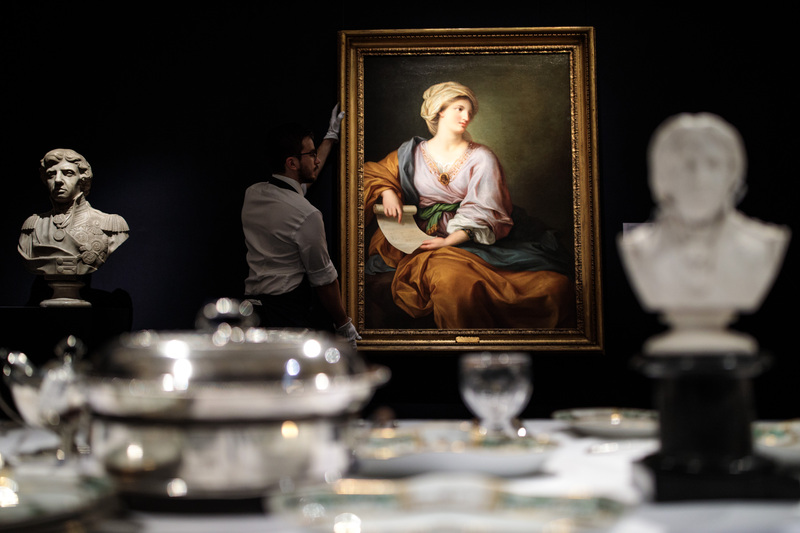 In 1798, the highly celebrated Admiral Nelson returned to Naples and was reacquainted with Emma, Lady Hamilton. Despite the fact that they were both married, Nelson and Hamilton began a love affair which would shock and offend their society for its entire existence. 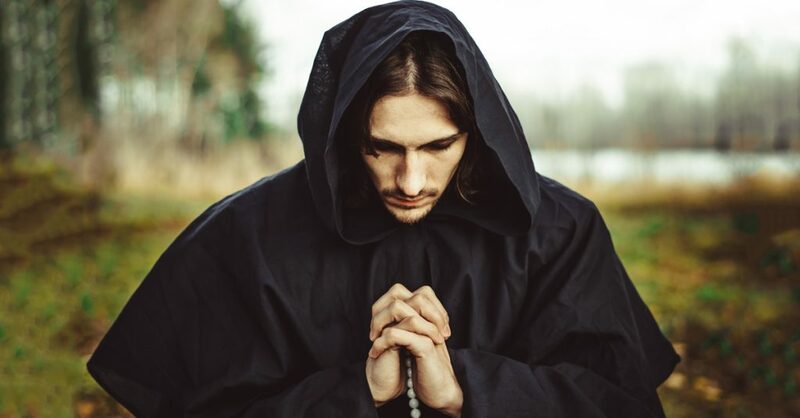 To make matters worse, Nelson became deeply estranged from his wife and father (the Reverend Nelson was very taken with Frances and was deeply offended by his son’s blatant adultery). For her part, Frances sent her husband letters urging him to stop this betrayal of their love, all of which were returned unopened. Nelson would live separately from Frances from 1800 until his death, all while she refused to give up on him. 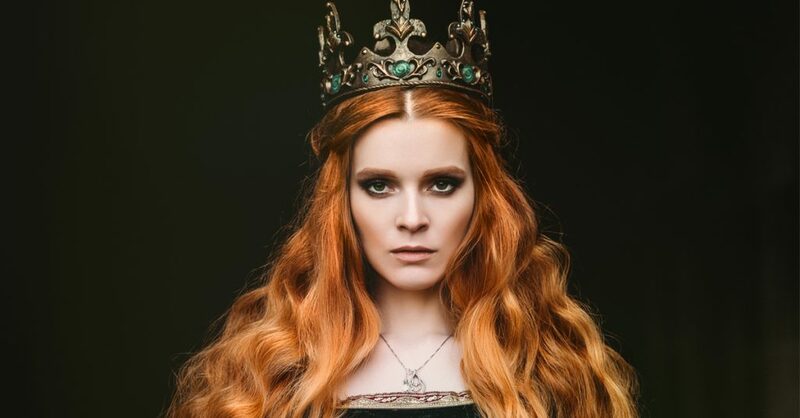 Quiz: How Much Do You Know About History’s Most Incredible People?